Do you know who owns your bookie? It's a mistake to believe that all companies exist independently of one another, when it actual fact, many of the major brands are owned by different mega-corporations. One such example is that of Cadbury, Oreos and Philadelphia Cream Cheese who are all owned by Mondelez International. By merging, companies can become stronger in their own markets and it is therefore no surprise that bookmakers and online casinos have also merged with each other. We have taken a look at some of the betting industry's biggest mergers and how that had an impact on their business. Paddy Power began life in 1988 after three Irish bookmakers, owned by David Power, John Corcoran and Stewart Kenny, merged. The bookmaker started out with just 42 betting shops and, just 26 years later, they opened their 500th shop. In the present day Paddy Power have over 600 shops across the UK and Ireland for punters to visit and place their bets. The year 2000 was a big year for the bookmaker, as they launched their first website as well as opening their first betting shop in London. Over the years, Paddy Power have managed to build a strong brand identity, with the distinctive brand known for its cheeky marketing techniques. Their future partner, Betfair, was formed in 2000 and the company was a pioneer in the industry, having created the online Betting Exchange, which allowed customers to set their own odds and effectively become the bookmaker for the first time. They have continued to be pioneers, having invented 'In Play' betting in 2001, before later inventing the concept of 'Cash Out' in 2012. The two companies merged in 2016 and between them have acquired the likes of Sportsbet, TVG Horse Racing, Blip and DRAFT over the years to get the best out of the business and to remain ahead of their competitors. The companies maintain separate websites and offer their own bonuses, meaning that a casino bonus from Betfair can only be used on the Betfair website. Unlike Paddy Power and Betfair, William Hill was founded before sportsbook betting was even legal, having been founded as a postal/telephone betting service back in 1934. Given its history in the industry, it is no surprise that the company are considered one of the biggest names in gambling. Betting shops became legal on the 1st May, 1961 although William Hill didn't start their expansion until 1966. As they began to buy into betting shops and acquire existing businesses, the company grew and their acquisition of such businesses became the driving force behind their growth. After the company was bought by Grand Metropolitan in 1988, it was merged with Mecca Bookmakers under the William Hill name. It was bought by Brent Walker in 1989 before financial difficulties forced Brent Walker to sell the company to Nomura in 1997 for �0m. Having merged only the once, William Hill is more known for its takeovers of other bookmakers. In March 2013, along with GVC Holdings plc, they acquired Sportingbet's Australian business, which included the Centrebet brand. That was not to be their only Australian acquisition as they bought out the website tomwaterhouse.com in 2014. In June 2012, William Hill US was formed following the acquisition of three Nevada based sportsbook operators. American Wagering, Inc., Brandywine Bookmaking LLC and the racing and sportsbook assets of Cal Neva were the bookmakers in question and with the expected change in laws for sports betting across the United States, William Hill are in a prime position for expanding in the American market. Like William Hill, both Ladbrokes and Coral were founded before sportsbook betting was legal. Joe Coral founded Coral in 1926 in the UK, while Ladbrokes, which was originally set up by Messrs Schwind and Pennington as commission agents, began back in 1886. Despite Ladbrokes' existence in 1886, it wouldn't actually be until 1902 that the company would be officially founded, when Arthur Bendir joined Schwind and Pennington. In 1956, Ladbrokes was bought by Cyril Stein and his uncle, Max Parker, and soon saw an improvement in business after advertising for new customers and extended their opening hours to enable greyhound betting. When betting shops became legal in 1961, it would take just a year for Ladbrokes to acquire its first shop, which was the beginning of an empire. Between acquiring its first shop and acquiring Coral, Ladbrokes would move into Belgium following the acquisition of Le Tierce SA as well as into the US, after purchasing Detroit Race Course, both occurring in 1984. The turn of the millennium also saw Ladbrokes move into markets in China, Italy and Spain. Coral had been through numerous mergers and takeovers before the one with Ladbrokes took place in 2016. The first occurred in 1971, when the company merged with fellow bookmaker Mark Lane, before being bought by Bass plc a decade later. The Ladbroke Group did manage to acquire the company from Bass plc in 1998 for �3 million, however the Monopolies and Mergers Commission declared that the acquisition was anti-competitive and they were forced to sell Coral within six months of buying them. 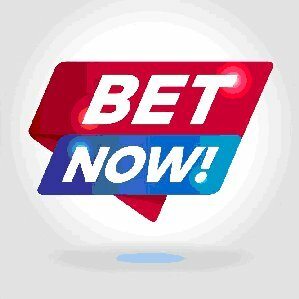 The acquisition of Eurobet saw the company's name changed to Coral Bet in May 2000, before being bought out in 2005 by casino and bingo company Gala, thus creating Gala Coral Group. Then finally, in 2016, Ladbrokes completed a merger with the Gala Coral Group after permission was granted from the Competition and Markets Authority. That wasn't the end for the newly named Ladbrokes Coral bookmaker as in March 2018, GVC Holdings plc acquired the company, which has a network of 3,500 bookmaking shops, under the separate names, making it the UK's largest high street bookmaker. With the gambling industry being as competitive as it is, future mergers are inevitable and with the changes in technology and the way people gamble, there is no doubt that bookmakers will also continue to absorb tech companies to try and keep ahead of their competition.